Join the Common Scents Community! A community where you will learn how to use essential oils safely and effectively. Plus, how to use them with Reflexology, Iridology, Kinesiology, Chinese Herbs & Flower Essences. Become a member and discover how to use essential oils in a practical way on an on-going basis. You will increase your knowledge and in so doing achieve better health and well-being. Sharing with other Common Scents members about Aromatherapy is fun and educational. Your instructor is Lorrie Hargis, RA an internationally recognized Registered Aromatherapist. She has been in the natural health field for over 29 years and the Organic Skin Care field for over 12 years. 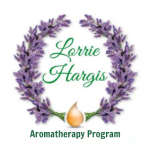 Lorrie is the owner of the Lorrie Hargis International School of Aromatherapy where she offers a Aromatherapy Certification Program with Levels 1, 2 and 3. 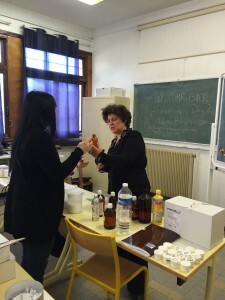 She brings her expertise as a Registered Aromatherapist, Iridologist, Kinesiologist and Flower Essence Practitioner , Researcher and Developer of Organic Skin Care and Cosmetics based on Aromatherapy along with her abilities to present, teach and write natural health information in a clear and inspiring way that passes her wisdom onto others. Membership to the Common Scents Community starts at only $19.95 per month. These videos are designed to bring you more knowledge to share with others that will ignite their health and well being. Build your business by using essential oils combined with these other natural healing modalities. Learn how to use essential oils with other natural healing modalities such as Herbs, Flower essences and Chinese Herbs through monthly Videos and Common Scents Community webinars. Learn how to use essential oils for emotional balance and mental clarity with the combination of Flower essences and special mindful techniques. Discounts on educational materials, webinars, live streaming, courses and programs. Be a member of our Common Scents Community Facebook Private page where you can share with fellow members about essential oils and natural health. Communicate with Lorrie on Common Scents Community Facebook group chats every Tuesday morning 9:30 Eastern time to ask her anything you would like! Be featured as a Common Scents Community Member of the month where you share your story. Learn how other Common Scents Community Members run their essential oil businesses.